Security and compliance is essential for healthcare organizations to utilize cloud-based services. Manage cost and streamline operations without sacrificing security and compliance (HIPPA and PCI) with a solution from Cloud9. "We've been with Cloud9 VoIP for over 4 months now. We are a busy family practice medical office, with many calls to and from our patients and healthcare providers. We are very happy with the switch from land lines to a cloud-based phone system with Cloud9. This phone system has exceeded our expectations. It is straight forward and simple to manage, even remotely. The various features allow customization to fit our workflow. The Cloud9 support team was right there by our sides to make sure the transition was smooth. As well, they are there for us when questions arise or when issues need to be resolved. Best of all, Cloud9 cut our phone bills in half. Better service at a lower cost. No brainer." The SIP-T46G is Yealink latest revolutionary IP Phone for executive users and busy professionals. 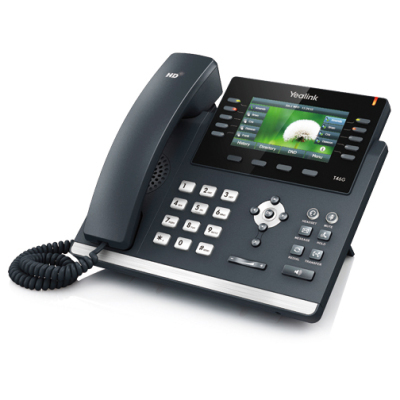 Yealink Optima HD technology enables rich, clear, life-like voice calls and supports Gigabit Ethernet. 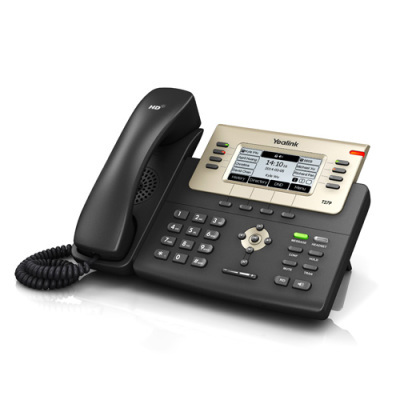 The SIP-T27P is a feature-rich sip phone for business. It has been designed by pursuing ease of use in even the tiniest details. Delivering a superb sound quality as well as rich visual experience. 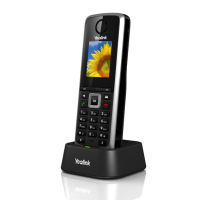 The Yealink W52P is a SIP Cordless Phone is designed for small business and SoHo who are looking for immediate cost saving but scalable SIP-based mobile communications system.